JIN Radio the Pop Rock brings the rhythm with Hot Pick Lilith Abi, soulful pop rock band Joyspring and BIG news about Man With A Mission. Take a listen a be ready to nod your head to the groove. JIN Radio is back with our last show of the year. Its a big show with many songs including new music from Maya Hatch our Hot Pick 5LACK and more. Take a look back at 2013 as you groove to the vibe. JIN Radio Pop Rock is in the house with new music from lee and small mountans, unnatural and more. Plus DJ Aki talks about 14 years in Japan and JIN Radio’s new Youtube interview series. So come check out the show! JIN Radio Pop Rock is back with great music from Hot Pick Sawas Phool, singer songwriter Aeka and more. Plus in our “Waz Up Japan” corner DJ Aki introduces the great new event website noplace2go.com which is growing everyday. Tune in and enjoy! JIN Radio Pop Rock is on the Spring vibe with new music from our Hot Pick Chiina, The Watanabes and more. Plus DJ Aki talks about his Golden Week. Tune in and enjoy! JIN Radio The Pop Returns with new style and great music. Including Rheason Love, esエス and the South Line Trippers. Listen and put some Spring in your step! 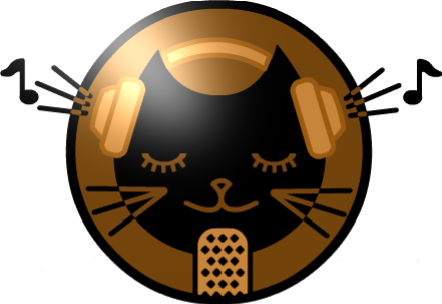 JIN Radio Pop Rock is online with lots of music goodness. Plus DJ Aki has interviews from the 2013 FOod Expo. Find out what his favorite drink of the year is by tuning to the fun! JIN Radio is back after a long break we bring the grooves for 2013 with Hot Pick W-D4, power pop band CREA and more. Happy New Year everyone and enjoy the show! This week’s Pop Rock JIN Radio is as always busy with great music and and great artists. We introduce new band Bitter Haze, our Hot Pick the powerful ladeis band CREA and in honor of her Tokyo Live show coming on 10/17 at Mugen Sagenjaya, we take a look at last year’s interview with Liza Villegas. So sit down and enjoy the fun!